The first set of Contrasts was here. 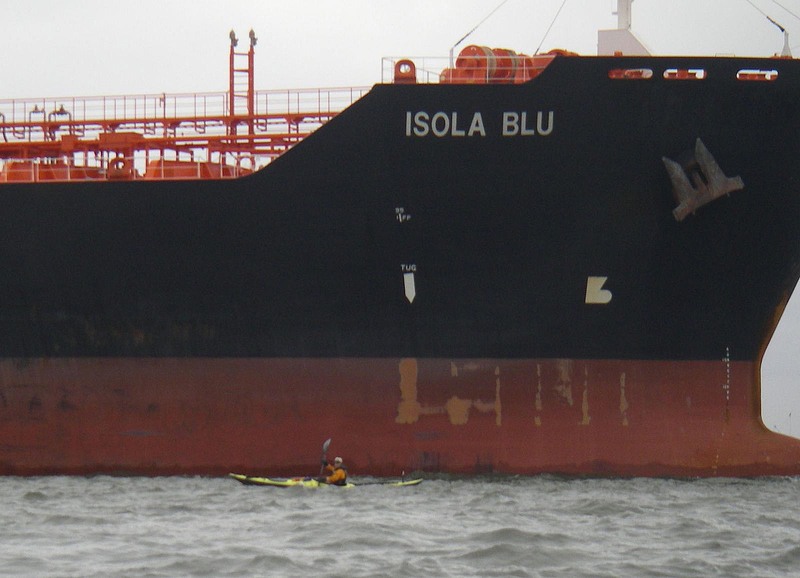 This entry was posted in Kayaking, New York City, Photography and tagged Barges, Contrasts, New York Harbor, Photography, postaweek, postaweek2014, Sea Kayaking, Ships, Weekly Photo Challenge. Bookmark the permalink. 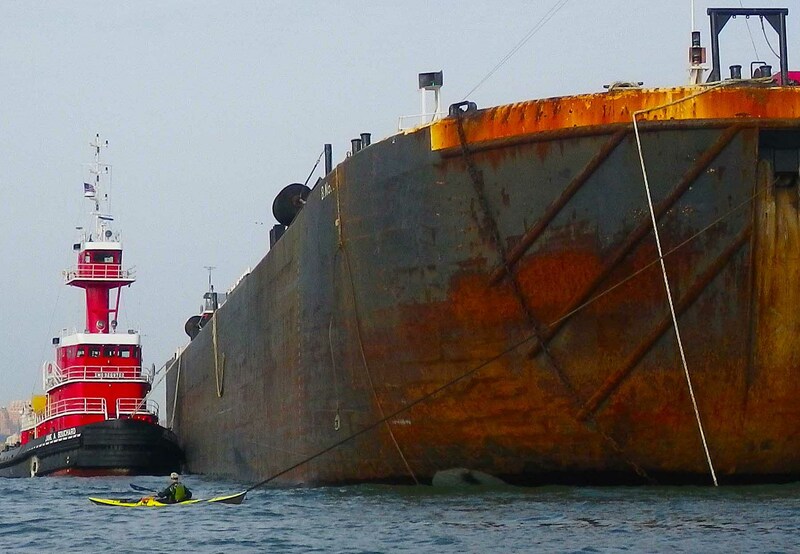 The kayak is small in comparison to those huge vessels. A perfect contrast. What a great contrast! So, what was it like being the small fish? ha! I will stick to my little tandem kayak in the Gulf for now. Thanks, Vlad. Nice series. I particularly like the image with the cranes. Very big and very little. Great photos! Now there is a contrast! A fun interpretation, I like the colours in the first one. 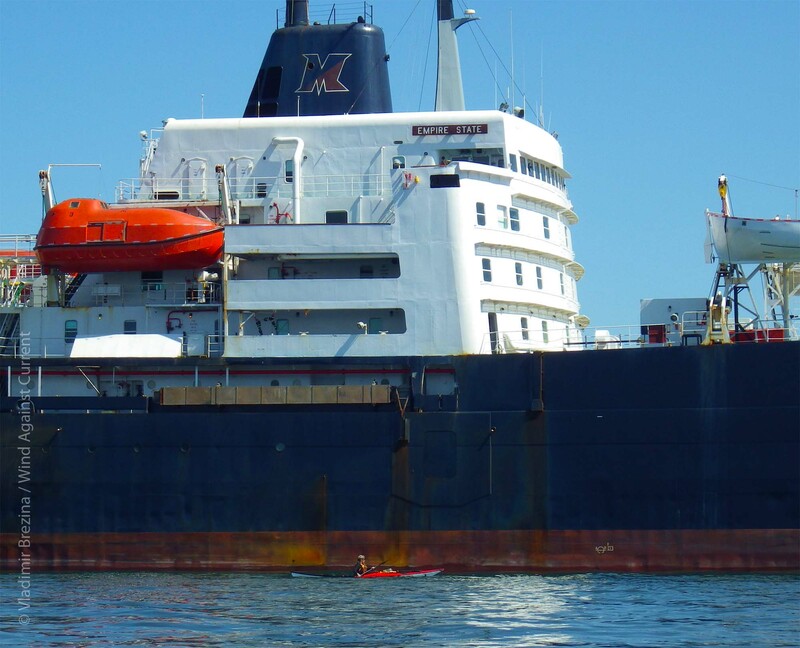 The ships are so massive it makes you kayakers look extremely vulnerable. More bravery from you & Johna! Interesting looking tug, I guess with ships getting bigger they need to be able to see over them. perfect!…but, would be a little intimidating for me! 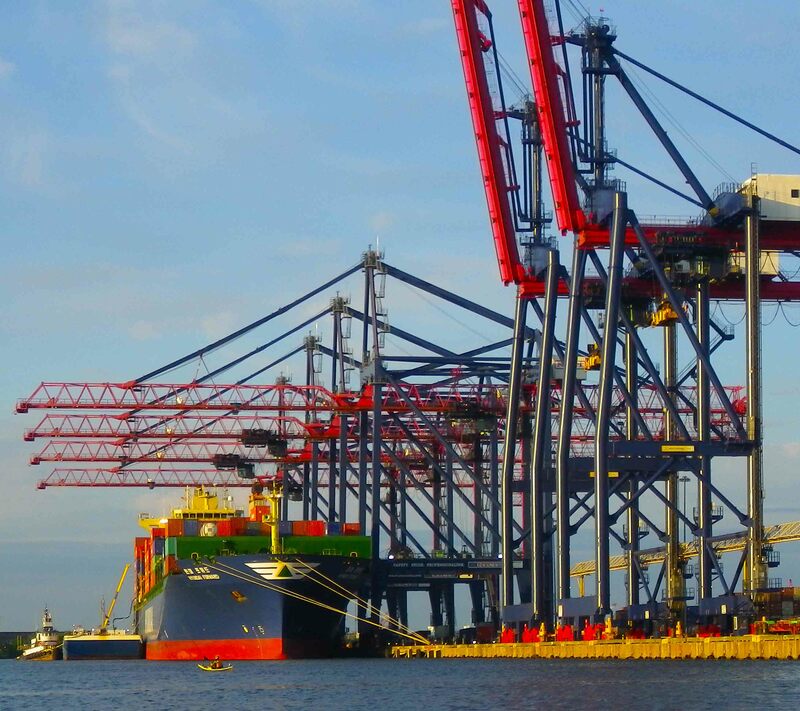 The picture with the cranes looks like Lego! Whoa! Just to be near these giants daunts me! Yikes! I like the colors, but the angle of the shoe makes the contrast seem even greater – lovely. Number 4 says it all. Wonderful and taken from a Kayak I suppose……. Wow! The size differential is a bit scary! Great shots for the challenge, Vlad! great idea for a contrast! you must have felt like a little lego toy beside that boat.